Another fascinating European destination is the city of Prague in the Czech Republic. This practical and informative guide will fill in the blanks about travel to this city. Right in the heart of Eastern Europe, the Czech Republic is bordered by Germany, Austria, Hungary, Slovakia, and Poland, and using this Dorling Kindersley Eyewitness guide, along with others in their repertoire, one could put together a really great trip to this part of the world, eg Poland. Apart from the Old and New Towns to explore, there are also cathedrals, synagogues, churches, museums, bridges, palaces, the Prague Castle, Winceslas Square, Kafka's café, and the Vltava river that divides the city. Many famous people are from this country, including its ex-president and leader Vaclav Havel, Prince Winceslas, Charles IV, Dvorák, and Martina Navratilova. I would imagine this city being a magnet for photographers (one of my main reasons for wanting to visit) because of the beautiful old buildings and artwork, museums, and gardens. You'll find different styles (Romanesque, Gothic, Renaissance, Baroque, Neo-Gothic, etc.) abound, each with their own allure, and a river trip would afford wonderful views. On foot you could investigate Old Town, New Town, Jewish Quarter, Little Quarter, and the Prague Castle and the Hradcany, as well as the many statues and incredible art scattered about. This guide offers day trips and guided tours (sounds perfect) to consider. Because there is so much to see, it would be best to allow as much time as possible so as not to be disappointed. With restrictive Communism gone, people are freer to move around, thankfully. 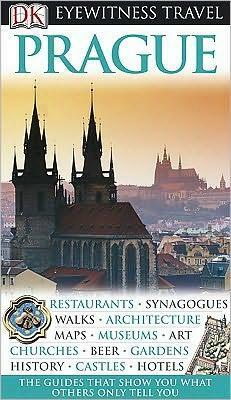 The "Four Days in Prague" suggestion in the book is a great introduction to this city. A bit of everything. Also interesting is the timeline, from 921 to date! As with any travel, be vigilant and careful. Conclusion - An extremely interesting and decidedly beautiful city to discover.